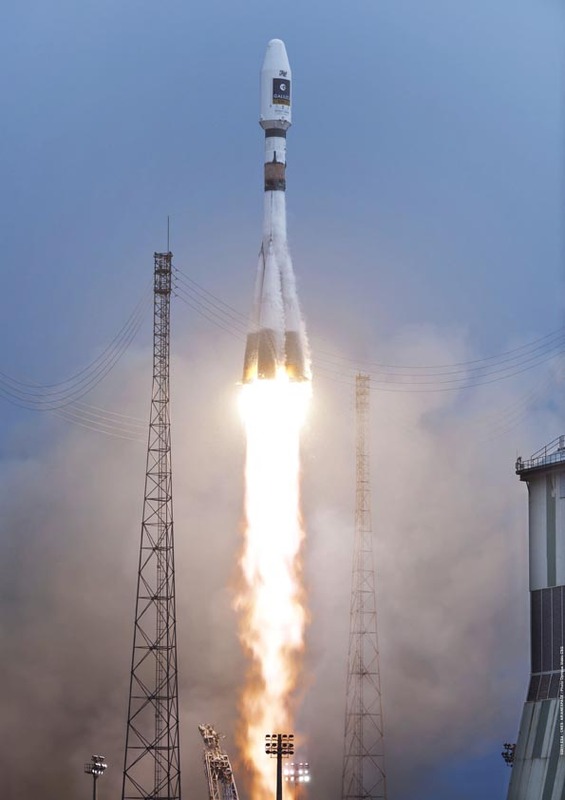 A Soyuz rocket lifts off from Europe’s spaceport in French Guinana on its mission to place the second pair of Galileo in-orbit validation satellites into orbit. ESA photo by S. Corvaja. 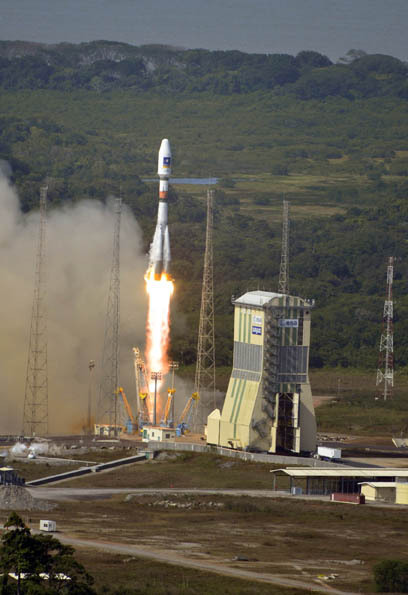 [Updated October 26, 2012] A Soyuz ST-B launcher carrying two Galileo in-orbit validation (IOV) satellites took off as scheduled at 18:15 GMT (20:15 CEST; 2:15 p.m. EDT) on October 12 from the European Spaceport in French Guiana. All the stages of the Soyuz vehicle performed as planned and the Fregat-MT upper stage released the Galileo satellites into their targeted orbit close to 23,200 kilometer altitude, three hours 45 minutes after liftoff. A week after the dual liftoff from Kourou, French Guiana, the two latest Galileo satellites completed the critical Launch and Early Orbit Phase on October 19–20. The FM3 and FM4 satellites were handed over from the joint ESA/CNES Launch and Early Orbit Phase (LEOP) team in Toulouse, France, to the Galileo Control Center, Oberpfaffenhofen, Germany, from where the operations of the Galileo constellation are managed. The satellites were built by a consortium led by Astrium as prime contractor, with Thales Alenia Space in charge of assembly, integration, and testing. The operations are managed by SpaceOpal a joint company of the DLR German Aerospace Center and Italy’s Telespazio, with the early operations of the satellites controlled by a joint ESA and CNES French space agency team in Toulouse, France. After initial checks, they will be handed over to the Galileo Control Centers in Oberpfaffenhofen, Germany, and Fucino, Italy, for testing before they are commissioned for the Galileo service validation phase.